A recent study has suggested that Type 2 diabetics using Kombiglyze XR are more likely to be hospitalized for a heart failure diagnosis compared to those taking other diabetes medications. Filing a Kombiglyze lawsuit could enable victims of this potential side effect to obtain compensation for their pain and suffering. The nationwide law firm of Bernstein Liebhard LLP has helped hundreds of people who suffered physical, financial and emotional losses due to serious drug side effects. If you would like to learn more about filing a Kombiglyze heart failure lawsuit, please call (888) 994-5118. Kombiglyze XR belongs to a class of Type 2 diabetes medications called DPP4-ihibitors. It combines two drugs, saxagliptin (the active ingredient in Onglyza) and metformin. Kombiglyze XR is marketed by AstraZeneca, and was approved by the U.S. Food & Drug Administration (FDA) in 2010. Kombiglyze XR: What’s the Problem? Since 2014, concerns surrounding the safety of saxagliptin have grown, prompting the FDA to launch a safety review of both Kombiglyze XR and Onglyza. October 2013: Findings from the SAVOR TIMI trial are published in the New England Journal of Medicine, and suggest that patients using saxagliptin may be 27% more likely to be hospitalized for heart failure. The study followed more than 16,000 Type 2 diabetics treated with either saxagliptin or a placebo for a median of 2.1 year. February 2014: The FDA launches a safety review of both Kombiglyze XR and Onglyza, based on the heart failure results of the SAVOR TMI study. April 2015: Fourteen of 15 members of the FDA’s Endocrinologic and Metabolic Drugs Advisory Committee recommend that new information regarding a potential association with heart failure be included on the labels for Kombiglyze XR and Onglyza. While the FDA is not required to follow the recommendations of its advisory panels, it usually does so. While heart failure is a chronic, progressive condition, many people can and do learn to manage its symptoms and live full and enjoyable lives. 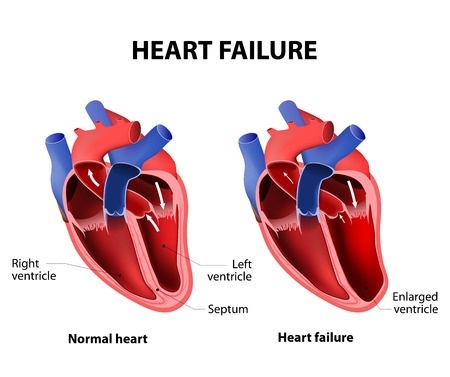 If you are interested in pursuing a Kombiglyze lawsuit for heart failure, the attorneys at Bernstein Liebhard LLP can evaluate your claim at no cost or obligation to you. To get in touch with our Firm, please call (888) 994-5118.